The X-Men Disassembled storyline continues with this week’s UNCANNY X-MEN #5, written by Matthew Rosenberg, Ed Brisson, and Kelly Thompson. While this issue doesn’t have quite as many twists and turns as past UNCANNY X-MEN installments, UNCANNY X-MEN #5 still refuses to disappoint. Veteran X-Men penciller R.B. 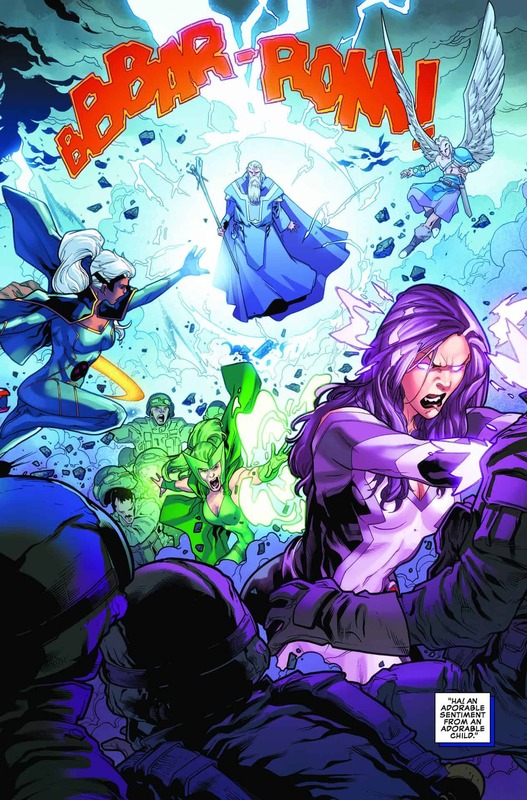 Silva brings some of his best published work yet, while Rosenberg, Kelly, and Brisson finally deliver some quality interaction between Psylocke and Angel. Some readers might consider UNCANNY X-MEN #5 to be a “filler issue,” but I think the series needed this issue in order to create the strong sense of apocalyptic chaos that “disassembled” promises. X-Man’s powers border on infinite. He can truly do just about anything. UNCANNY X-MEN #5 shows just how scary that truly is. X-Man is quantifiably insane. Some fans don’t want to hear that, because they still remember the “old” Nate, but it’s undeniably true. 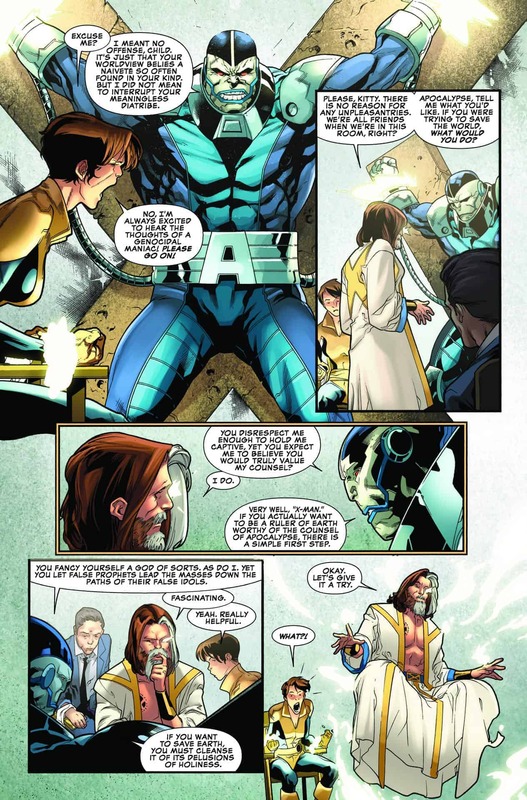 In UNCANNY X-MEN #5, he casually takes Apocalypse’s advice to destroy all of the religious monuments across the world in order to make himself the one “true” religion. In a second, every church, temple, and palace with any religious connotation disappear. As big of a deal as that is, none of the X-Men have time to react. Each team is occupied with their own Nate-related struggles. At the destroyed mansion, Multiple Man helps his once-captor Legion as he tries to locate X-Man’s hiding place. In the middle of the ocean, Jean and her team investigate a weird rainforest that appeared on top of a sinking oil rig while Storm and her team battle Magneto and Angel. In a surprisingly soft moment, Betsy and Angel have a moment where she begs him to stand down. When he refuses, Psylocke uses her psi-knife to stab him, releasing Archangel. The strongest element in UNCANNY X-MEN #5 is its dialogue. There are so many panels where two characters make leaps and bounds in terms of characterization all thanks to a few well-timed and well-written bubbles. Take Legion and Multiple Man, for example. Since the beginning of this series, they’ve had a tumultuous relationship, with Legion capturing and torturing Jamie as part of some grandiose plan to save everyone. In this issue, they’re having to work together, which is a dramatic turn from where they were just a few issues ago. Legion gives a speech, of sorts, to Jamie that’s intensely emotional and personal and, while it doesn’t change things between them, it does show a different side of Legion that we haven’t seen before. 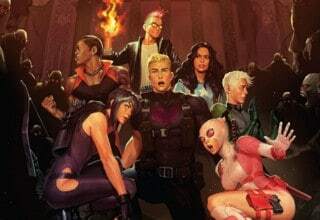 Since they’re on the cover, we have to talk about the true stars of the issue: Angel and Psylocke. These two have had a very turbulent relationship in the past (check out the Dark Angel Saga if you haven’t already!). In more recent comics, they haven’t had a ton of moments together, which is why UNCANNY X-MEN #5 is so great. The dialogue is both heartfelt and heartbreaking, especially when Betsy shows her true intentions. Readers can feel the gravity of the situation on their shoulders. When the X-Men stop being family and start hurting each other instead, you know things have gone too far. 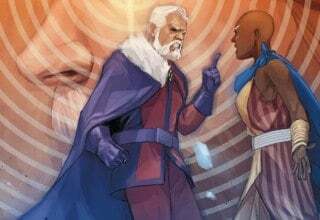 Solicits for the next few months of Marvel comics are out and they have a lot to say when it comes to the “Disassembled” storyline. 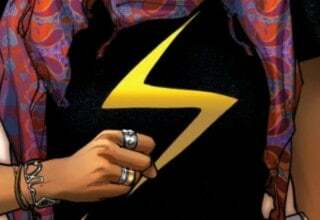 The AGE OF X-MAN is coming in February and bringing with it new titles and dramatic changes. I don’t want to say anything for sure at this point since I’ll probably end up being wrong. Still, it does seem like UNCANNY X-MEN and “Disassembled” will transform the X-Men franchise as we currently know it. New character designs and an entirely new world, where X-Man rules, appear to be on the horizon. Whether or not those huge changes actually stick around for more than a few months is the real question. The X-Men have needed an overhaul for a while now and UNCANNY X-MEN seems to be the title for the job. 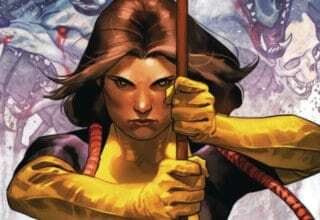 So far, it’s created a compelling story that is already altering the fabric of the X-Men universe. Still, I’m wary as to whether Marvel will want to take on the challenge of creating long-term changes for the X-Men. After all, that would mean making a series last longer than a few months, which, in recent times, isn’t their forte. 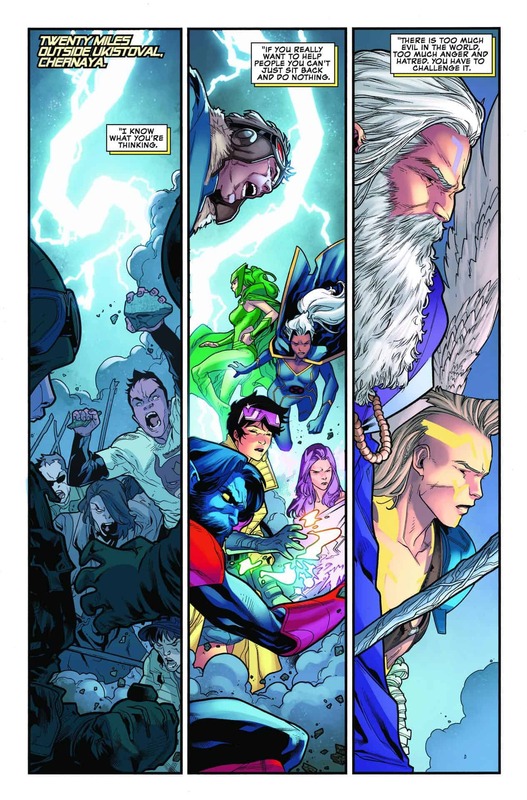 Silva is the first “repeat” artist to work on the UNCANNY X-MEN title. 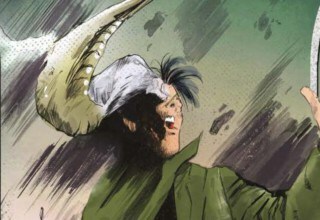 He illustrated UNCANNY X-MEN #2, where he gave a decent display of his talents. However, it’s UNCANNY X-MEN #5 where he really shines. This series has hosted an array of amazing artists, which means everyone who contributes has to be on their A-game. 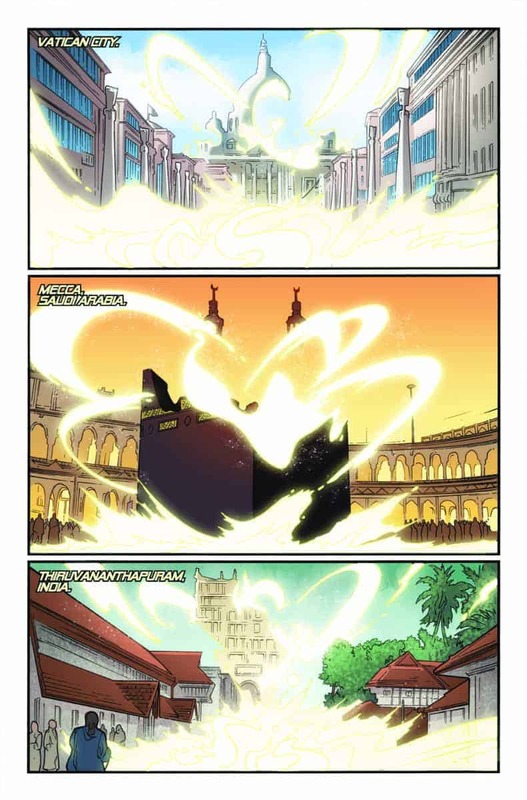 From looking at Silva’s perfectly rendered action sequences and intense attention to detail, it’s clear that he took his work on this week’s issue very seriously. Colorist Rachelle Rosenberg, who’s worked on the past four issues as well, continues bringing both a realistic and fantastical palette. Because of how playful she can be with colors, the panels featuring the “oil rig rainforest” become aesthetic marvels. 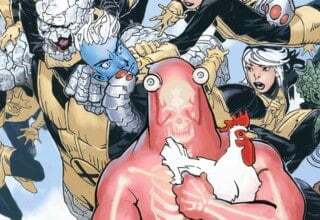 UNCANNY X-MEN #5 is another solid issue in a series that’s refusing to let down dedicated X-Men fans. Naturally, as with all comic titles, UNCANNY X-MEN cannot please everyone. 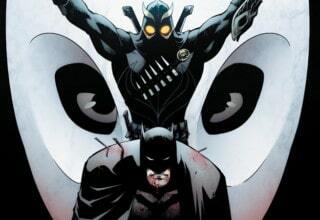 There are tons of fans, across various social media platforms, who enjoy voicing their hatred for UNCANNY. While their opinions are warranted, I have to disagree. Marvel and its writers are truly trying to give X-Men fans something new to enjoy and, so far, they’re succeeding. Whether that success continues in the coming weeks and months is still up for debate. 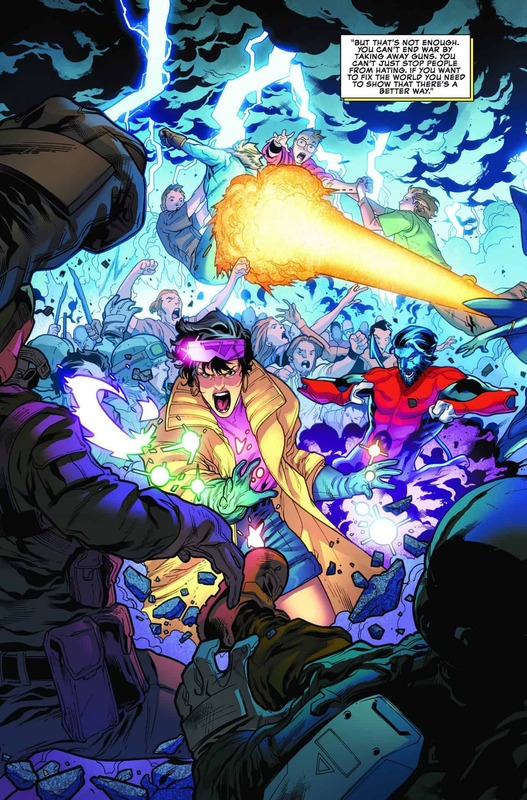 Rosenberg, Thompson, and Brisson send the X-Men, and the entire world, into a chaotic, post-apocalyptic dream in UNCANNY X-MEN #5. Beautiful visuals, mixed with masterful dialogue, make for a dynamic issue that's well worth the cover price. If you're thinking about buying UNCANNY X-MEN #5, but you're unsure if it's worth it, I promise you it is. For X-Men fans, this is a must-buy.